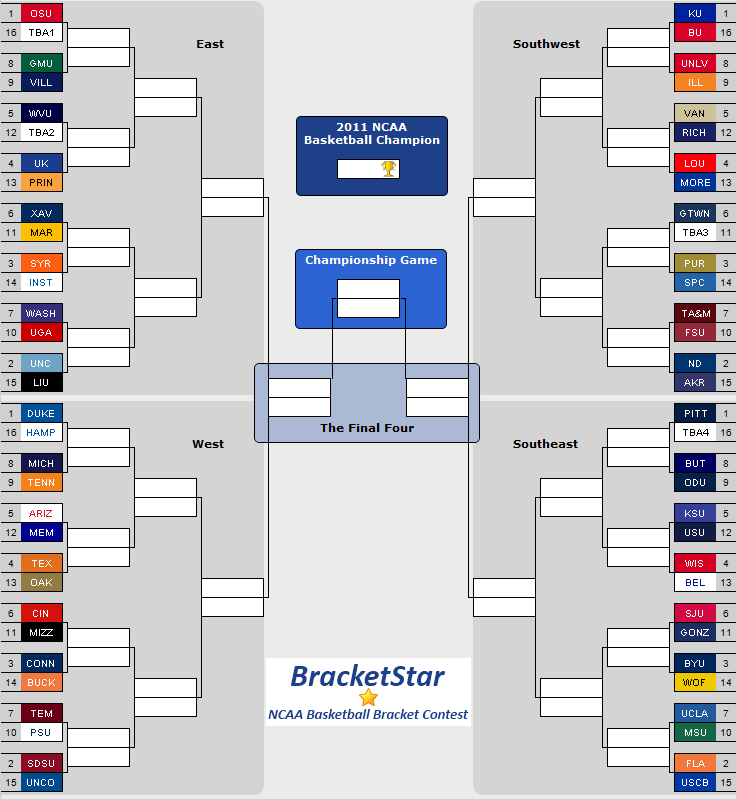 BracketStar is a free March Madness Bracket Contest run exclusively through Facebook. See The 2011 Results and Top 600 Players! Compete against your friends and other Facebook users, by picking winners and losers for the 2011 NCAA Mens Basketball Tournament. Don't forget there always seems to be some major upset along the way! Buzzer beaters, bracket spoilers and weeks of do-or-die college basketball playoffs are exactly what March Madness is about. Kamina Software, LLC is not affiliated with the National Collegiate Athletic Association (NCAA®) or March Madness Athletic Association, neither of which has supplied, reviewed, approved or endorsed the material on this site. Trademarks used herein are property of their respective owners.